Ultrasound examinations are yet another medical service that we provide. Ultrasound machines use sound waves that allow us to look inside internal organs or identify abnormal masses. Ultrasounds are safe, non-invasive procedures that do not usually require sedation. The only preparation your pet may need is to have the fur over the area to be examined shaved off. 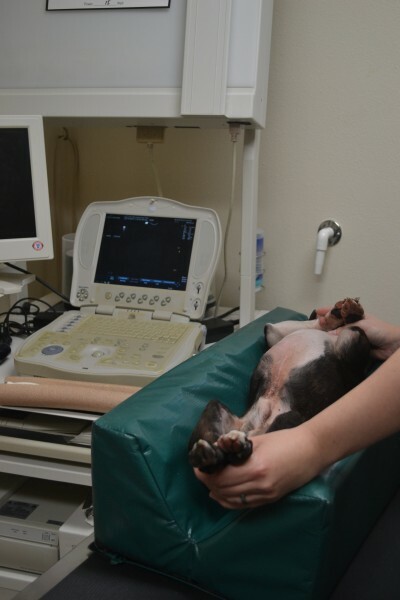 Our specially trained veterinarians are able to interpret ultrasound images in the clinic for immediate diagnosis.